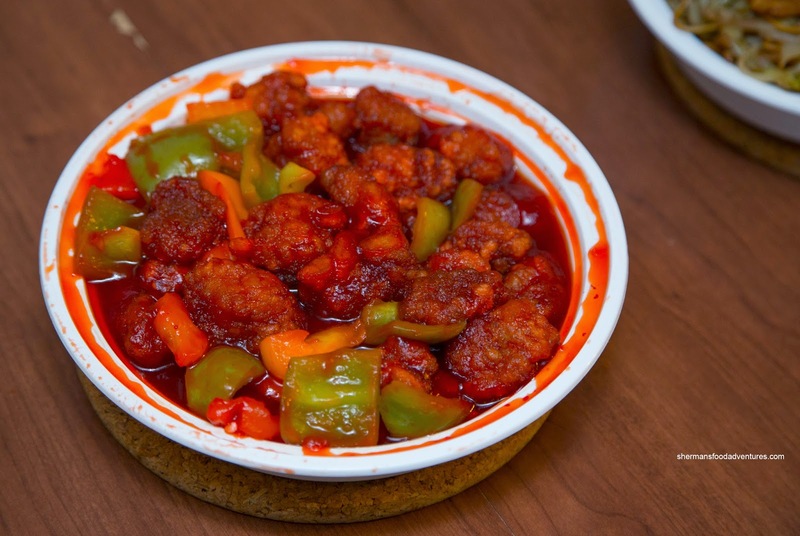 North Americanized Chinese food often gets a bad rap. 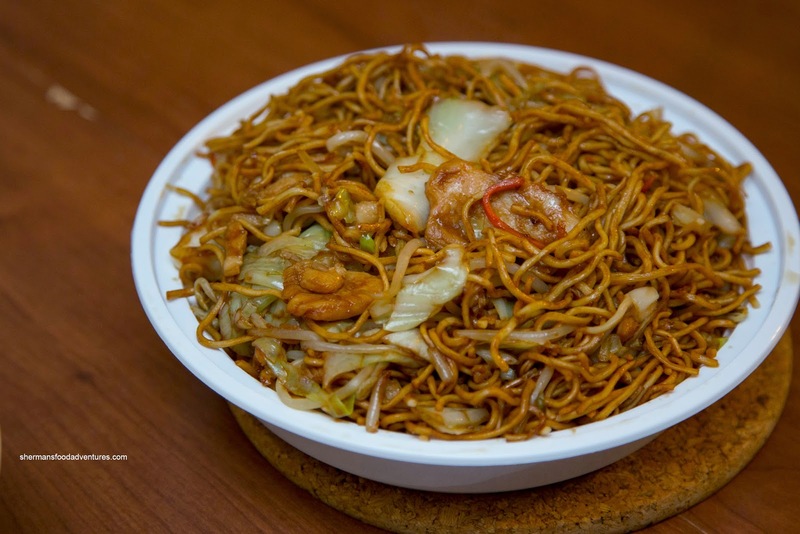 In a metropolitan that boasts some of the best Chinese food around, it is almost embarrassing for someone to admit that they like it. For me, I don't really care about authenticity too much unless the food is terrible. So if there is some good North Americanized Chinese food to be found, I'll not only eat it, I might even enjoy it. One can be discerning without being a complete food snob. 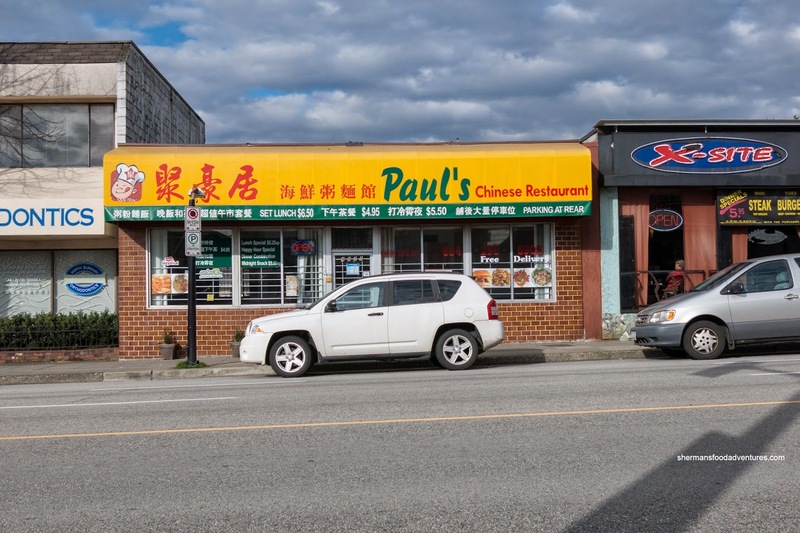 With that in mind, I finally decided to get takeout from Paul's Restaurant (which Viv resisted trying since we moved to Burnaby over 9 years ago). 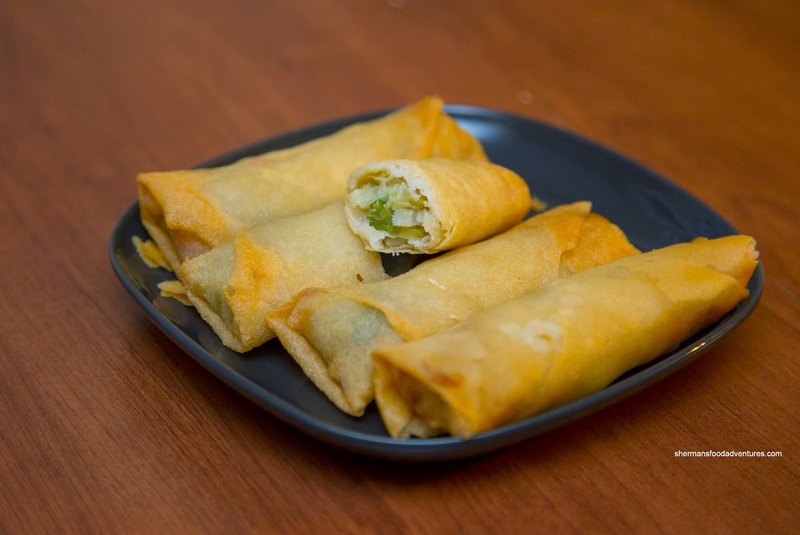 We tried the Spring Rolls first and I thought that the immediate inside layer of the exterior wrapper was doughy and wet. As for the filling, the veggies were a bit slimy and bland. They were crunchy though and not heavy on the grease, but in the end, they were substandard. 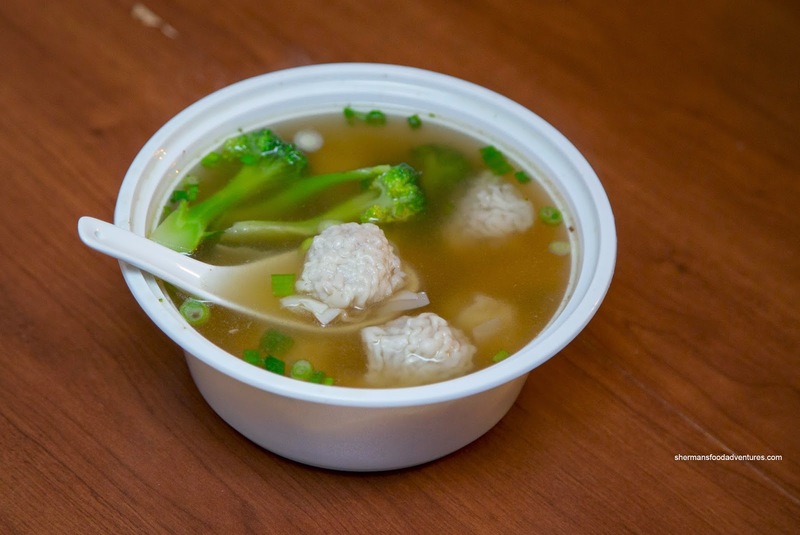 Next up, I sampled the Wonton Soup. The soup base itself was mild and didn't have many distinguishing flavours. It was neither salty nor sweet. Rather, it was barely more tasty than hot water. As for the wontons, they were the typical all-pork version with bits of water chestnuts. If we do not compare them with the shrimp version, these were okay with moist pork with a light crunch from the water chestnuts. They were mildly seasoned where I needed to whip out the hot sauce. I dug into the Chicken Chow Mein before the mains and it was on the drier side. No matter though as the rest of the dishes had some form of moisture to make up for it. I didn't notice much in the way of wok heat as there was little caramelization of flavours. In fact, other than the dark soy colour, there wasn't much impact at all. On the flipside, the noodles were nicely chewy while the bean sprouts maintained some crunch. There wasn't a lot of chicken though. I though the Sweet & Sour Pork was respectable as the sauce was a nice balance between tartness and sweetness. In fact, there was a nice zip. As for the pork, most pieces were moist while not being too fatty. The batter was on the thicker side where it was a bit doughy, especially after soaking up the sauce. We liked that there was an array of peppers. 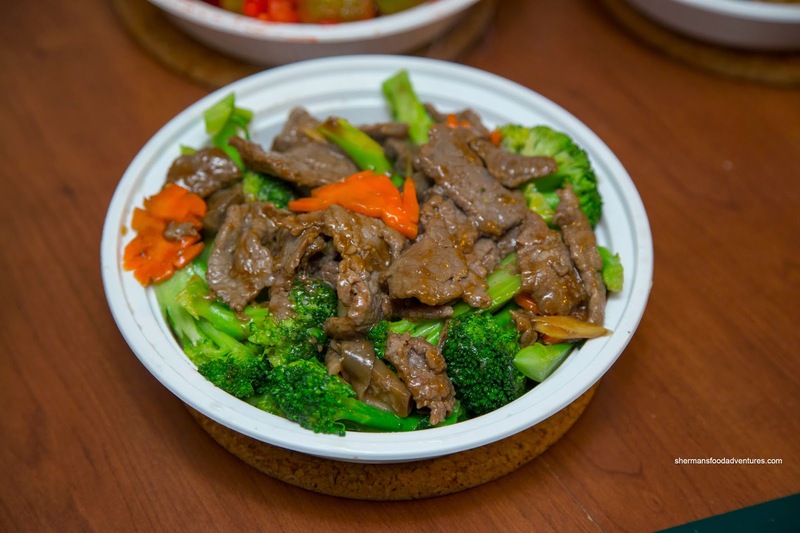 Somehow, it seemed like they forgot to season the Beef & Broccoli. Okay, let me rephrase that, the beef was seasoned, but the broccoli was very bland. Hence, when we ate only a piece of broccoli, there was no flavour other than the natural vegetable taste. The beef itself was tender enough except for a few thick pieces. It didn't seem like they overdid it with the baking soda. 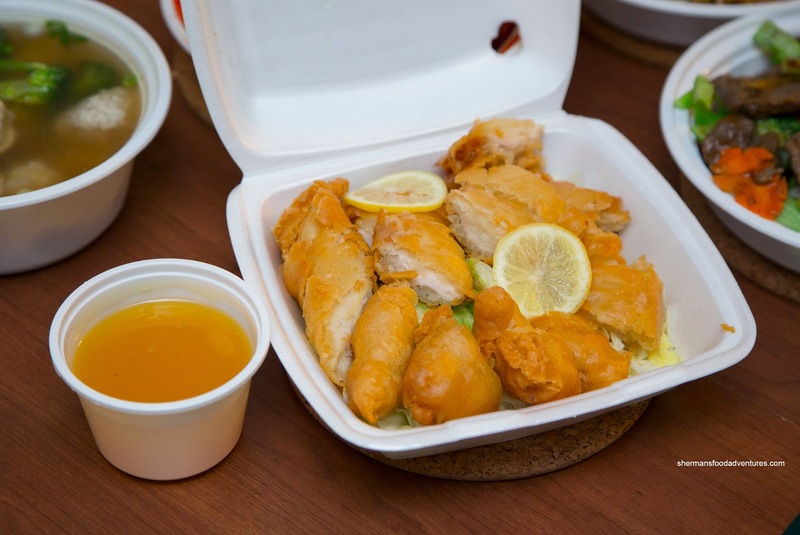 We weren't overly enthused with the Lemon Chicken as the accompanying sauce was stone-cold. It's as if they didn't reheat it. Also, the batter on the thin slices of chicken was not completely cooked through being slimy and doughy on the inside. As much as the food was alright, we weren't all that interested in ordering it again. With that being said, there was a decent amount of food for the price.